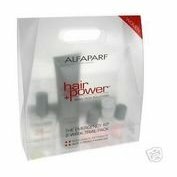 2 Week Trial Pack-Thinning Hair For Men. Hair loss in men which is heriditary and hormonal, can occur at any age. As it appears, the hair root shrinks and the shaft gradually thins, leading to a shorter hair life cycle. KIT INCLUDES: 1 x Energy Shampoo 3.38 oz., 3 x Energy Booster Serum .27 oz., 1 x Energy Daily Treatment 1.01 oz. 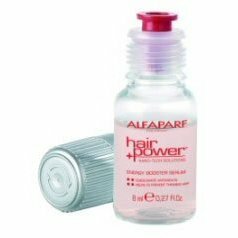 Alfaparf - hair power energy booster serum for women 6/.27 oz.